I’ve reposted the meme about (paraphrased) “writing is like breathing; if I don’t do it I die” several times. A bit dramatic, of course, but I’ve spent so much of my life writing, I can’t imagine doing anything else. When I got a job as a reporter on an aviation magazine, it was a died-and-gone-to-heaven moment: They paid me to write about what I loved, airplanes. I write because it’s how I communicate best. Often, the spoken word fails me, but the written word never has. I write because I feel deeply about the world around me. When I saw genocide in the Balkans, I had to write about it. When I saw a disproportionate number of black men killed by police, I had to write about it. When I see injustice, racism, sexism, etc., I have to write about it. I started writing stories in elementary school with my weekly list of spelling words. You remember–the exercise where you had to use each correctly in a sentence. My sentences comprised a story, usually about horses. One year for Christmas, I got an alphabet, rubber-stamp set, and I set about printing a newspaper for my neighborhood–based on what I heard my mother and her friends talking about at the kitchen table. I hand-printed, letter-by-letter, a half dozen copies and left them on doorsteps. Needless to say that didn’t go over well with my mother because I’d essentially repeated her gossip. The rubber stamp set mysteriously disappeared. In high school, my English teacher caught me writing fan fiction in her class. She confiscated my notebook but gave it back to me the next day. “Keep writing,” she said, “just not in my class unless it’s an assignment.” My very first spy story she accepted as an assignment for class. 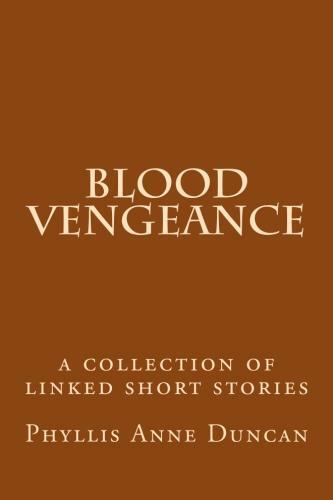 My first book of short stories, Rarely Well-Behaved, I dedicated to her. I had a break in writing after college when I taught school for a few years. I got a job as an editorial assistant for an aviation insurance consortium, and that led to my dream job writing about airplanes and aviation for the FAA. While I wrote articles and briefing papers and white papers and studies and regulations and manuals and congressional Q&A, I still wrote fiction at home. But it was a long, long drought of having my fiction published–more than thirty years. So, I decided it was time to retire and write for myself. That first year after retirement, nothing got published. I remembered how much I disliked those rejection notifications, but I kept at it. First came a story in a start-up lit mag; then, another. Publication in an anthology. Placing well in a contest. Another anthology. More lit mags. Another contest. In between were agent rejections, self-publishing some short story collections, small publisher rejections, and a few more agent rejections. Still, all this has made me feel I’m on the edge of something I’ve wanted my whole life, something that’s about to happen. I’ve always said if I could simply get my stories in people’s hands they would find something to like about them, that they would want more. In the midst of all this, I stopped being the writer others said I should be and became the writer I’m supposed to be. Because it lets me be vulnerable and forces me to be authentic. What more can you ask of life? You send a story out into the world, and it gets published. Most of the time you hear nothing more about it, except perhaps for friends who go read it. On February 1, in email I got my copy of the on-line magazine my story, “Dreamtime,” appeared in, and the link to see it on-line. Normally, I’d update my author website with the link to the story, but I was still on the recovery side of a bout of flu. A few days won’t matter, I thought; I’ll get around to it. Turns out I was prescient. A day later, I received an email from the editor of the on-line magazine indicating there had been some negative comments about the story. Literary critique, I asked? No, some readers found it offensive. How so, I asked? I got a vague reply about offensiveness and an indication the magazine’s editorial staff were considering what to do about it. The editor provided me a link if I wanted to see the comments. I considered it, but I also didn’t want to get into a social media rant over my writing. No, I responded, I really didn’t want to see the comments. If they were literary critiques about style or story structure, summarize them, and send them to me. No reply. I follow the author Anne Rice on Facebook. She is the rare famous author who will engage with people who follow her. She is adamant about commenters on her posts remaining civil and that she will block anyone who is vindictive or rude. She has also taken on people on Amazon and Goodreads who call themselves reviewers but whose sole purpose seem to be to cut down writers they decide they don’t like. I’d had one negative review of my collection of short stories, Spy Flash. The reviewer indicated that he or she thought it was a novel but was disappointed to discover it was “just a collection of short stories.” All the information on the book clearly indicates it’s a collection of short stories, so when it became obvious this person hadn’t bothered to read the book, I let it go and didn’t reply. That was mild compared to some things I’ve seen on Amazon and Goodreads–questioning the author’s intelligence, whether the author’s parents were married when the author was born, and worse. Anne Rice is determined to shut these trolls down by pressuring both Amazon and Goodreads to police reviews better. I had given her issue only passing attention. It didn’t affect me, so why get riled up over people being rude on social media. Happens all the time. I’ve personally pushed the boundaries of rudeness, but I’ve never posted false accusations or personal attacks. (Well, some right-wingers might disagree, but if so, my work is done.) Now, I felt as if I understood what Anne Rice was talking about. I would never have known I’d been unpublished unless a friend had gone to the on-line magazine’s website to read my story and couldn’t find it. So, I looked. Sure enough, it was gone–no indication in the table of contents, no explanation on the web site. It was as if my story had never existed. I emailed the editor, who did respond promptly to say it was a “difficult decision” to unpublish the story, but that the number of people who were offended had grown, and the editorial staff felt it had no choice. I again asked for clarification about what was offensive in the story and received a reply indicating that when art deliberately offends it is sending a message; but when art inadvertently offends it shouldn’t be displayed. Again, I requested specifics and got something, but not enough. Because my story involved a didgeridoo, which is a musical instrument native to aboriginal people of Australia, the assumption was that my narrator was an aboriginal. The Australian Arts Council, so I was informed, has protocols that only aboriginal people or non-aboriginals who have obtained permission from aboriginal people can write about aboriginal people. A caucasian Australian objected to the story on that basis. Two other writer friends went to the on-line magazine’s Facebook page and looked at the comments there. Most were positive, and indeed people I didn’t know came to my defense in light of what turned out to be a single person’s criticism. I haven’t looked at the comments. I can’t. Though my author’s skin has thickened to constructive criticism, it would do me no good to read the kind of negative comments my friends indicated were there. This organization, which only has effect in Australia, does indeed have a nearly 50-page booklet entitled, “Protocols for Working with Indigenous Artists.” It has a section on writing and does indicate that if you, as a non-aboriginal, are going to tell the story of the aboriginal people of Australia, you should work with aboriginal people to assure accuracy. You should also use aboriginal language to describe cultural aspects. So, by titling my story, “Dreamtime,” which is a western term for a complex aboriginal religious ritual, I was in violation of those protocols. Except, of course, they don’t apply to me because the Australian Art Council, which is not a regulatory body, has no jurisdiction over my little plot of central Virginia. I did, however, download and read cover-to-cover those protocols. I believe those protocols have a place in Australia, where the indigenous people’s’ history, culture, and art were in danger of eradication by non-indigenous people who disparaged them because of racial prejudice. Precisely what my story was about. So, I’m glad that Australia now seeks to protect the art and culture of its aboriginal people, but, again, those protocols have no license over anyone outside Australia. Now, I’m not saying non-Australians are free to disrespect the Australian indigenous people. If a non-Australian writer did that (or an Australian writer for that matter), I’d be the first to denounce them. My story revealed the narrator’s feeling of being an outsider at work, of his (or her) face being the only dark one there, how his (or her) co-workers wouldn’t understand why he went walkabout, how he’d overheard them calling him (or her) a derogatory term used by non-indigenous Australians. My story intended to honor the indigenous people’s struggle to be accepted, but it wasn’t perceived that way by at least one person and a few followers of that person’s blog. For the most part of two days, I questioned my entire existence as a writer. I’ve fought injustice, discrimination, sexism, et.al., with my words and my actions. To be accused of “inadvertently” offending a whole race of people is shattering. I did fight back. Though it was obvious the editorial staff of the magazine wouldn’t change its collective mind, I had to make a point. 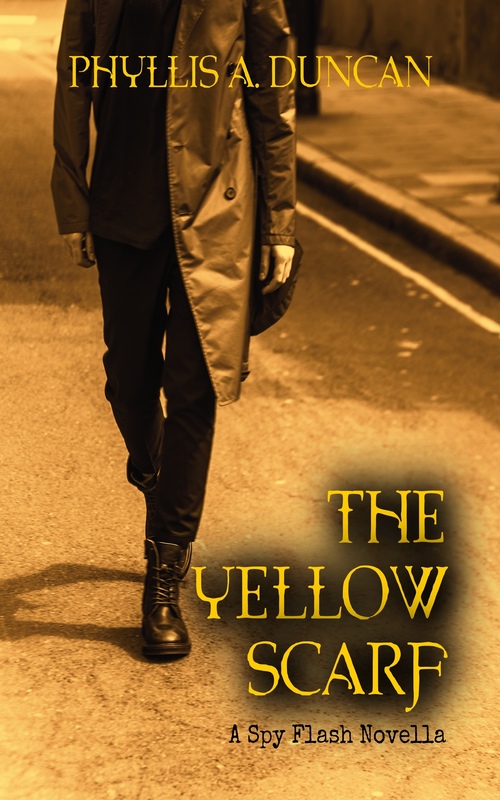 A novel I’ve written, which is at the rough draft stage, features a transgender character. I’m a straight female who identifies as such; however, I’m straight but not narrow, as the meme goes. I pointed out to the editor that based on her (or his) logic about my story, I shouldn’t be allowed to write about a transgender character. That and my point about “unpublishing’s” effect on creativity went unacknowledged. However, I insisted the publication rights for the story be returned to me, and they were. I instructed the editor to keep the check (Yes, I was going to be paid for the story.) and to cancel my complimentary subscription to the magazine. Small protests, yes, but sometimes it’s the principle of the thing. So, why not publish the story right here, so you can decide for yourselves? Since I have the publishing rights back, it’s my intent to submit it somewhere else, to a magazine whose editorial staff has a spine and stands up for its authors. Whether you say Merry Christmas, Happy Yule, Happy Solstice, Happy Kwanzaa, Happy Chanukah, or some other derivation, back at ya! What with shopping, baking, wrapping presents, decorating, more shopping, and more baking, writing sometimes takes a back seat to holiday preparations. I have done my usual writing, but my editing/revising of my work has been non-existent for the past two weeks. And reading? Ferggitaboudit! From the people who follow or read this blog, you’ve given me the gift of your attention all year long, and for a writer who still occasionally doubts she has something worthwhile to say, your attention to my work is something I appreciate beyond words to express. The writing experts always say, “Write for yourself,” but if that’s your only audience you aren’t going to get far. Every writer longs for readers, and you’ve all given me that. At the same time, you’ve given me encouragement, tacit and implied. You’ve critiqued when I needed it, and you praised when I needed that, too. I write for myself, but I write for you, too, because without you, I would be a mere scribbler, not a writer. Many of you are writers yourselves, and that makes the gift of your attention even more meaningful. We’re peers, but as writers yourselves, you get me, and vice versa. You get the rants and raves, the publishing disappointments, all the expected and unexpected things along the path to publication. We’re all on that same path, and we make each other’s journey easier. So, best wishes for you, your families, and your writing for this holiday season. May you wake to the joy of children’s voices when they see what’s beneath the tree, or however you celebrate this time of year. And let’s do it again next year! Am I bragging? Well, yes, I suppose I am, but when you’re an unknown author, you generate all the publicity you can get. 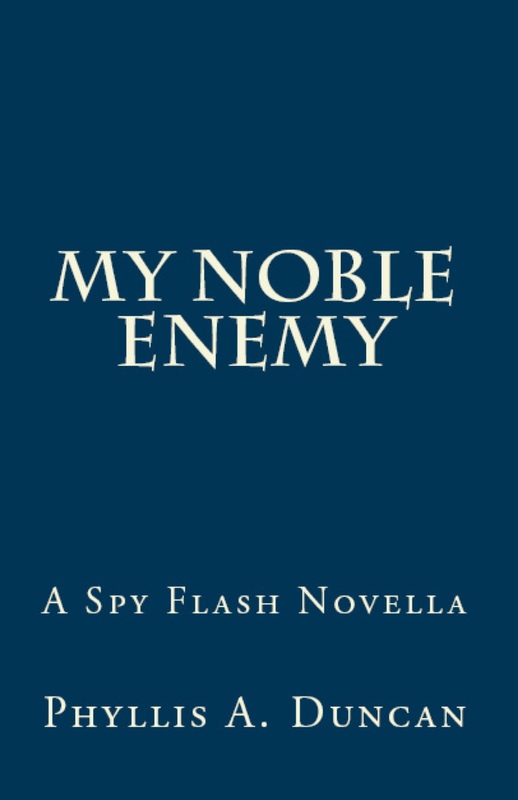 I’m especially proud of the stories in Spy Flash and how they showcase my two main characters, so boast a little, I will. However, what I won’t do is bug you to death with constant begging pleas to “buy my book.” It’s there, it’s available, I think it’s good, but it’s entirely up to you. I mean, it would be nice to be able to pay the electricity bill this month. Just kidding. So, here are the details. If you want to buy the paperback or Kindle version of Spy Flash (a deal at $14.95 or $5.99 respectively), click here. Or you can click on the cover image on the righthand side of this post. If you want me to sign your copy, scroll to the top of this post, click on the “Contact” tab, and shoot me an e-mail. This is the exciting part about writing–looking at a shelf and seeing your title and name on the spine of a book, holding that book in your hands and seeing your words on a page. It’s why we write, it’s what we live for, and it keeps us going. Most of us aren’t in this to make a gazillion dollars–if we’re realists and understand the publishing industry, we’re not. My wish is for people to just read and enjoy my work. That’s my compensation, so go on. Help make me a wealthy woman. On another note, a piece of 100-word flash fiction I entered in the Shenandoah Valley Writers Flash! Friday contest was a winner. (Click on the Flash! Friday tab at the top of this page and select “First Contact.”) Not a bad way to start a Monday.